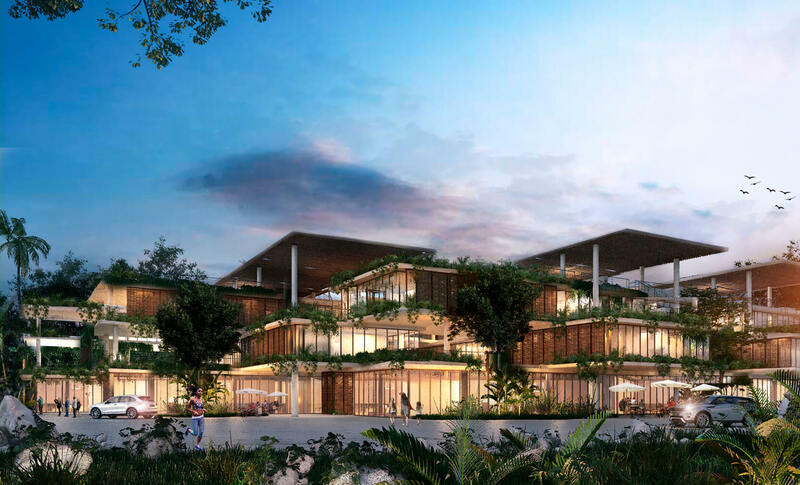 This residential and commercial project forms part of one of the fastest-growing urban areas in the Riviera Maya, which requires a lot of awareness as cenotes and jungle are all around. The intention is that the difference with the natural context will not be perceived, that the architecture becomes part of the jungle, just like the abandoned Mayan structures. 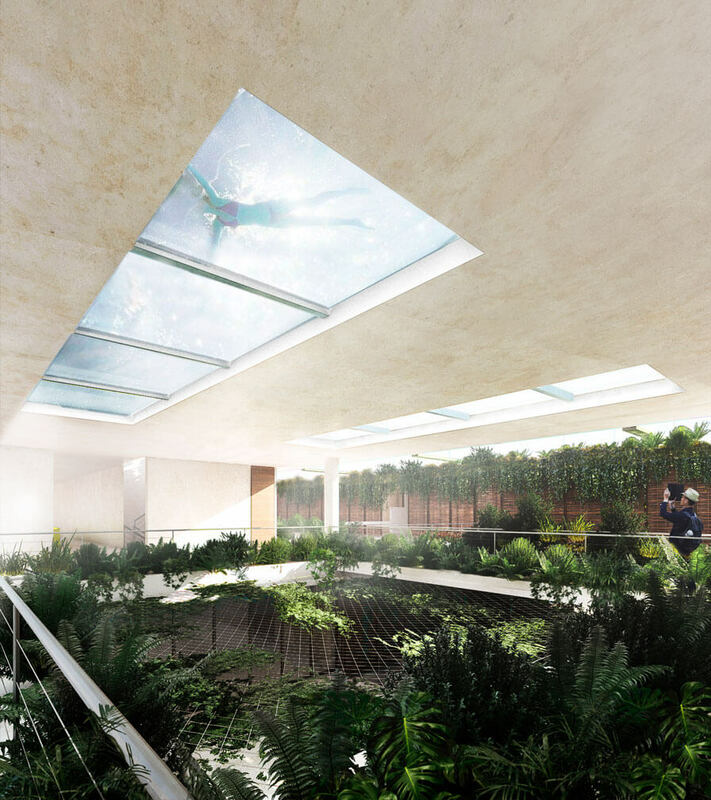 The design concept is born of respect for the natural conditions of the climate, topography and native vegetation. The proposed construction has the least impact on the terrain, using the minimum footprint when raising the structure above the ground – the way a stilt house coexists with its natural environment. This decision gave rise to all the aesthetic characteristics of the complex. 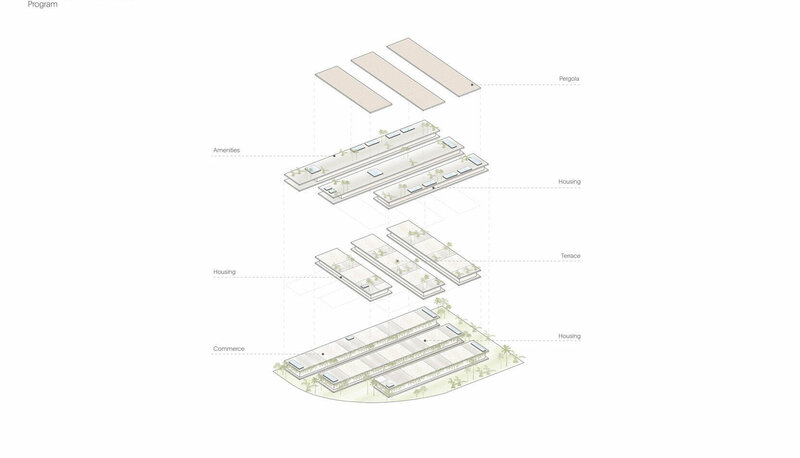 Along the length of the terrain, the first three bays contain a select commercial program that coexists with the residential development, while the three upper floors are interwoven in opposite directions to form a checkerboard, creating terraces in the exposed, intermediate open spaces. 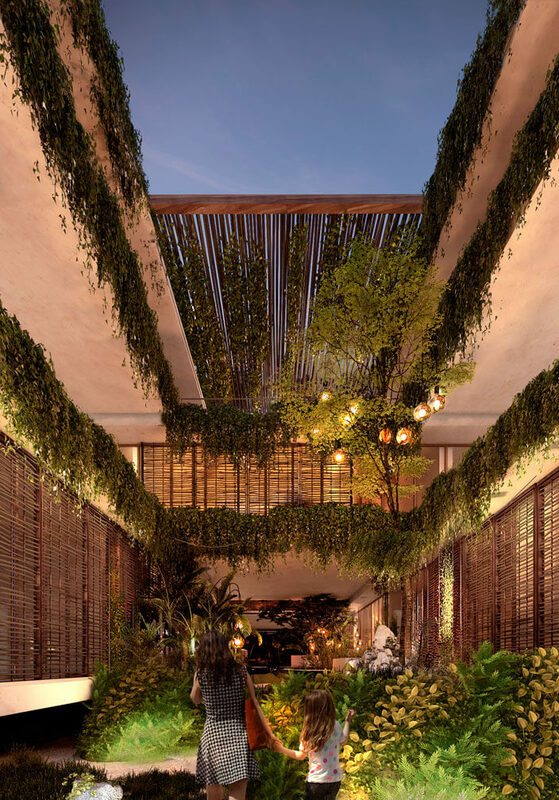 These open spaces become gardens, terraces, and patios as a result of the interrelation of the volumes, and are conditioned to produce specific natural atmospheres, where nature takes over the architecture to make these common areas livable as if they were an extension of the private areas. At the same time, the great solar incidence is exploited and controlled in a game of shadows. 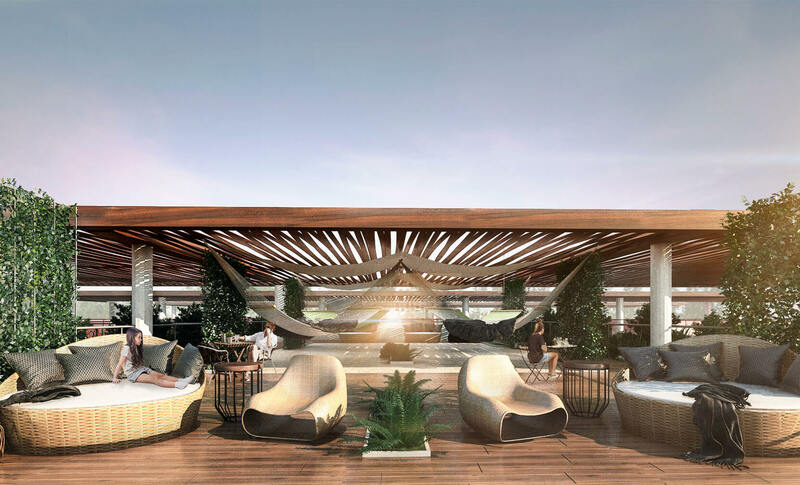 The 38 apartments, ranging from 90 m2 to 150 m2, have terraces and bedrooms with private entrances and share the top floor which offers open-air amenities such as a roof bar, hammocks, pool, sunbeds, and grill. 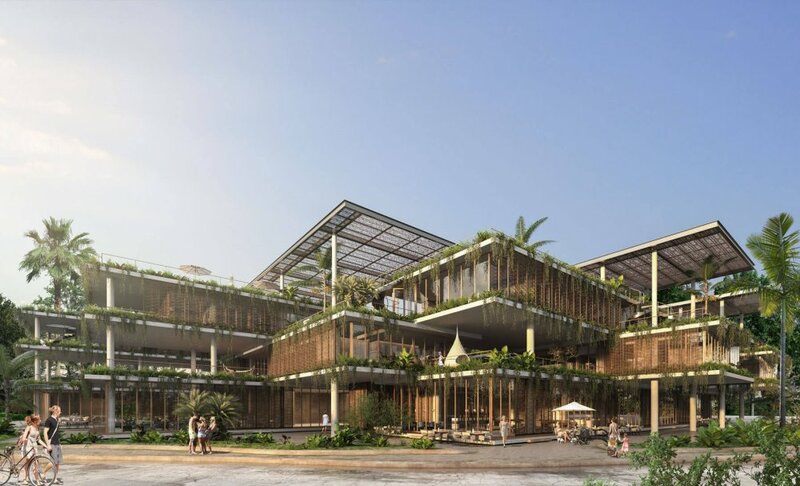 One of the major challenges of building in the tropical climate of Tulum is reducing solar gain and maximizing air flows to keep the building fresh. Various passive systems, such as eaves with vegetation above the windows, protection with natural woven screens and pergolas (using locally sourced wood known as jiles), provide the principal sustainable feature of the complex. The landscape design affords an outstanding role to the native vegetation, which borders all the building slabs, appropriates the internal corridors and weaves its way throughout the ground floor. 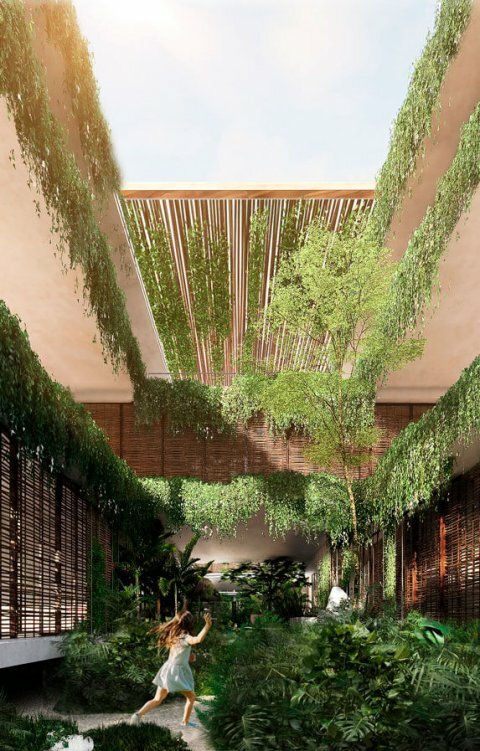 Most of the existing flora will be protected during the course of construction in a temporary nursery, before being transplanted to become part of the building. The principal structure is reinforced concrete together with post-tensioned slab systems, while the other materials and finishes make use of local artisan techniques, which also serves to incorporate the local economy into the construction process. All the interior surfaces are finished with chukum, a smooth cement finish created with the sap of a native tree; tzalam wood is used for its tolerance of sunlight and humidity; and all the screens are woven by local people using jiles, a type of wood that can be worked like a fiber.